January / February / March / April / May / June / July / August / September / October / November / December. Are you having problems with the presentation of pdf files in firefox ? If you'd rather not use the built-in PDF Viewer, you can use another PDF viewer like Adobe Reader, Nitro PDF Reader or Sumatra PDF. PDF (Portable Document Format) is a file format that has captured all the elements of a printed document as an electronic image that you can view, navigate, print, or forward to someone else. To view and use the files, you need the free Acrobat Reader, which you can easily download. Once you've downloaded the Reader, it will start automatically whenever you want to look at a PDF file. The quality of the prints depends on the printer you use. Select a paper size like A4 or A3. Use the paper quality of your choice. Well suited is a slightly thicker, white paper. Don't worry. In most cases, a standard copier paper is enough. Have a look at the different planners available. There are seven different planners for each year. Select the document, that fits you best. Holiday planner, travel planner, office planner, company calendar, desktop calendar, school calendar, shift planner, custom calendar, personalised calendar, ovulation calendar, pregnancy calendar, work plan, availability calendar, events calendar, conference planner, training calendar, clubhouse occupancy, sowing calendar, gardening planner, laundry organizer or caretaker calendar. 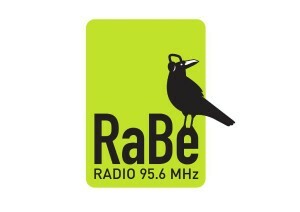 on Radio RaBe with Miss Betty Boo. Every wednesday from 4pm to 5pm.